Seeing Yelawolf supporting Wiz Khalifa earlier this month pushed my anticipation for his debut into overdrive. Now the fateful day is upon us, I have been feverishly listening to Radioactive in order to find out whether the Shady Records signee is worth the hype. 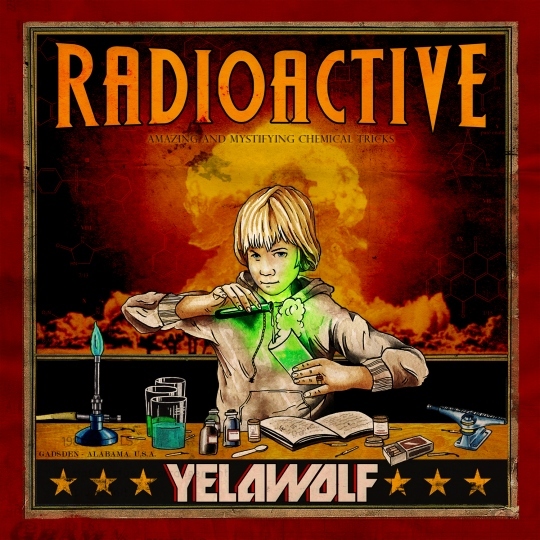 'Radioactive Introduction' kicks off proceedings, the subdued beat allowing the listener to focus on the Alabama MC's complicated rhyme patterns. 'Get Away' follows, the track settling into a standard Southern banger with a welcome guest verse from new Cash Money Records member Mystical. In general, the features on the album are a surprise. There is no appearance from any Slaughterhouse members, Yela relying mainly on newcomers such as Shawty Fatt and Rittz to assist his project. This is not necessarily a drawback of the album, the effect achieved is that of a rough and ready Southern collection of songs. Rittz in particular shines on the blaring 'Growin' Up In The Gutter', the track used as an opportunity for the two MC's to explore darker, experimental themes. That is not to say that all the guests are as obscure. Eminem (as well as Gangsta Boo) drops by on 'Throw It Up'. The catchy, piano driven beat compliments the two white MC's, though the Gangsta Boo verse and chorus seems slightly out of place. Eminem's effort doesn't rank among his best work, though as expected there are plenty of quotable lines. The best collaboration is undoubtedly with Killer Mike on 'Slumerican Shitizen'. Here Yelawolf engages with deeper subject matter, discussing the political alienation he feels from the state. Less successful, but with similar themes, is 'Made in the U.S.A'. Yela laments the materialistic nature of modern America, but his serious message is undercut by a poppy hook. A drawback of the project is that it occasionally seems tailored towards radio exposure, sometimes at the expense of musical quality. Better examples of this are the Diplo produced 'Animal' and Kid Rock assisted 'Let's Roll'. Both of these tracks would not be out of place in a club or on the radio, but neither feel like cynical cash ins. Lead single 'Hard White' is a tribute to the heyday of crunk, with Lil Jon producing his most compelling beat in years. The best track on the album, however, is 'The Last Song'. Over a mellow instrumental, Yela laments the fact he cannot celebrate his success with his absent father. The song also contains some touching reflections on his relationship with his mother, similar in tone to J Cole's 'Breakdown'. 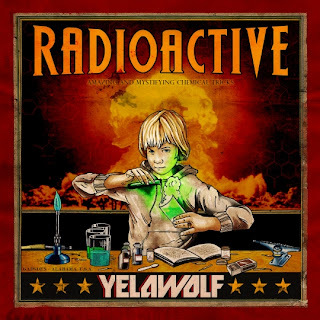 Despite some ill advised pop leanings, Yelawolf has created perhaps the standout debut of the year. The album showcases the enormous potential of the Alabama born MC, while also displaying a surprisingly mature approach on certain tracks. The future certainly looks bright.